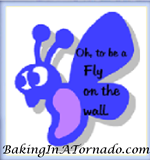 This entry was posted in ADD, Family, Humor, Kids, Marriage, Motherhood and tagged Christmas, crafting, Fly on the Wall, Thanksgiving by thesadderbutwisergirl. Bookmark the permalink. 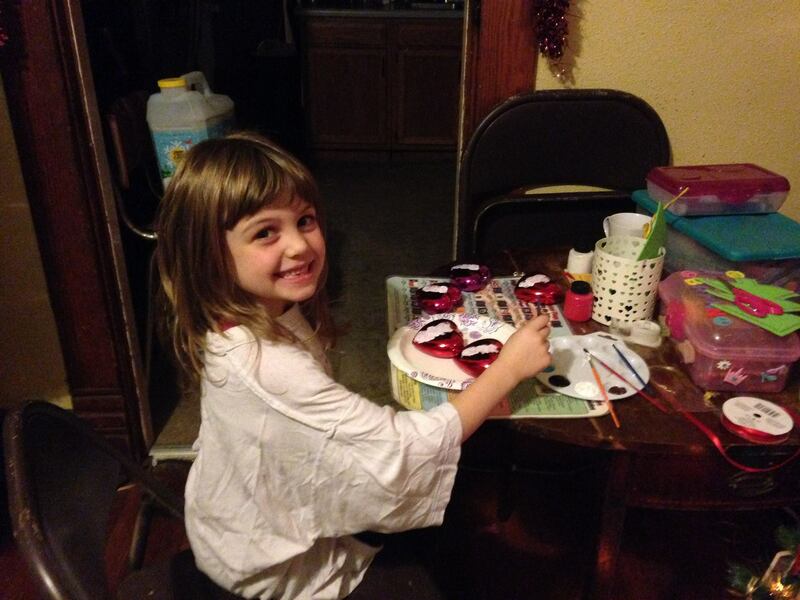 Love that your little girl wanted to do ALL the crafts!! Everyone looks so happy. 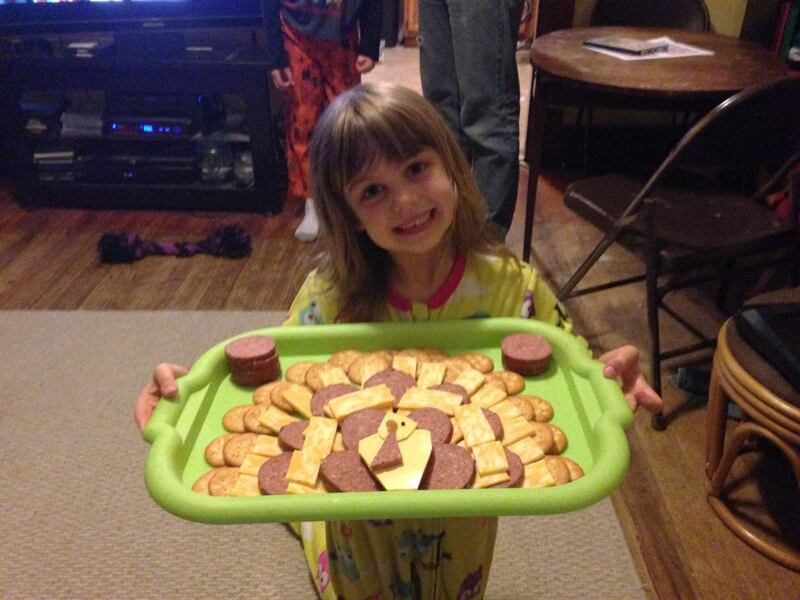 BTW, that is one cute turkey cheese plate. I think it was 12:01 December 1st, when I handed Mark the shaving cream and a razor…. So glad to hear that your husband isn’t cooking with humans. And I have to say, you’re one very smart lady, you’ve got the best job of all! I’m glad to hear you have successfully avoided cannibalism with your enchiladas and you got to nibble some tasty trees. I love the last picture of your kiddos. So precious! Wishing you and your sweet family a very Merry Christmas and a wonderful New Year! My favorite spice is cumin and of course, love Mexican food. Loved the chocolate faces — they tell a wonderful story! And the dog — sure knows his place! I have 2 craft fiends here. 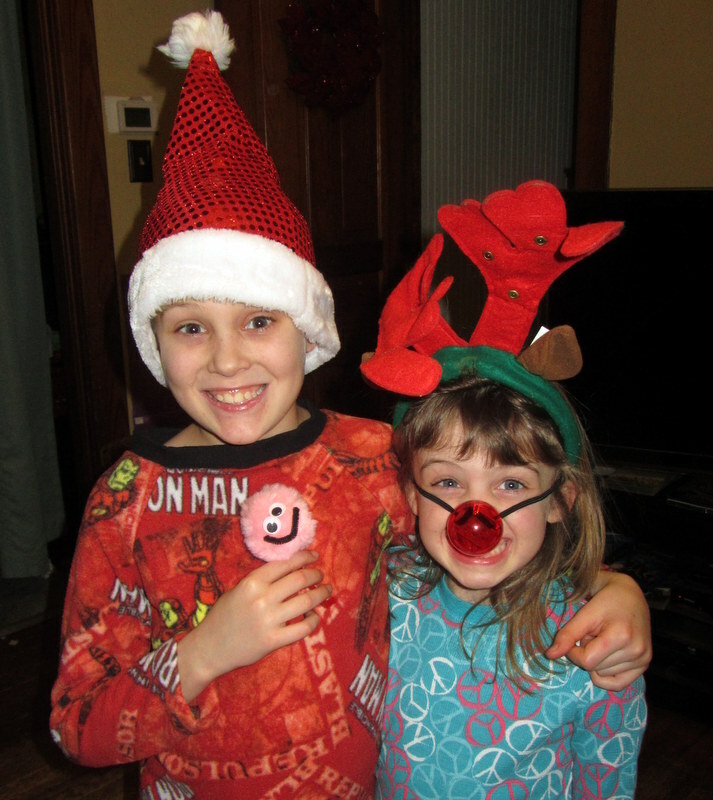 Cailey and Colin want to craft 24/7. LOL Unfortunately, I have been a little too busy to keep it going for them. 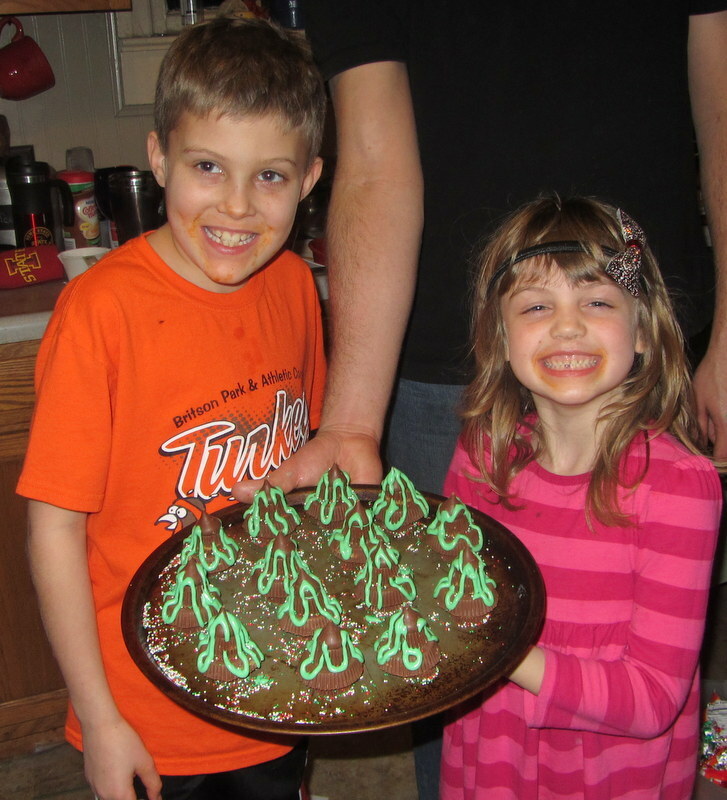 LOVE those chocolate peanut butter trees!!!! SO YUMMY!!!!!!! 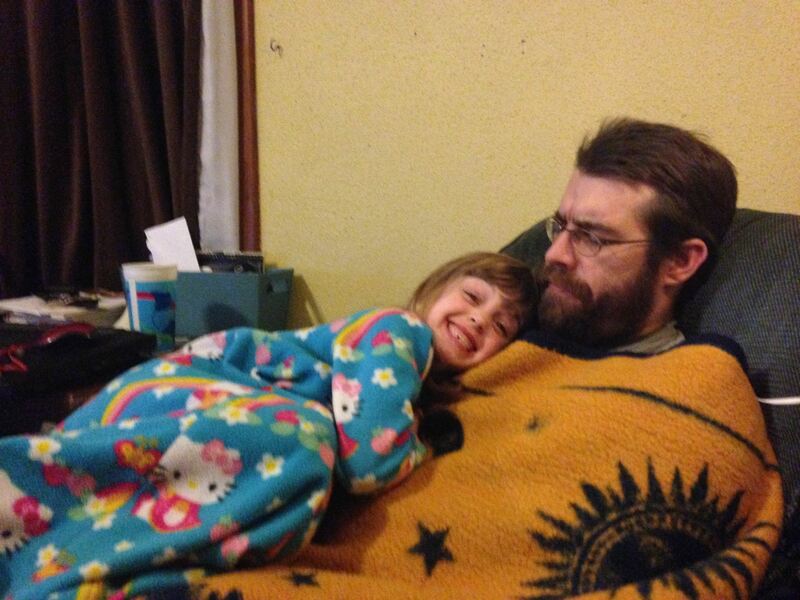 I begged and begged and BEGGED The Hubs to shave his beard. I rejoiced when December came and he finally did. My kids have gotten all craft crazy too. Drives.Me.NUTS! Sweet photos. 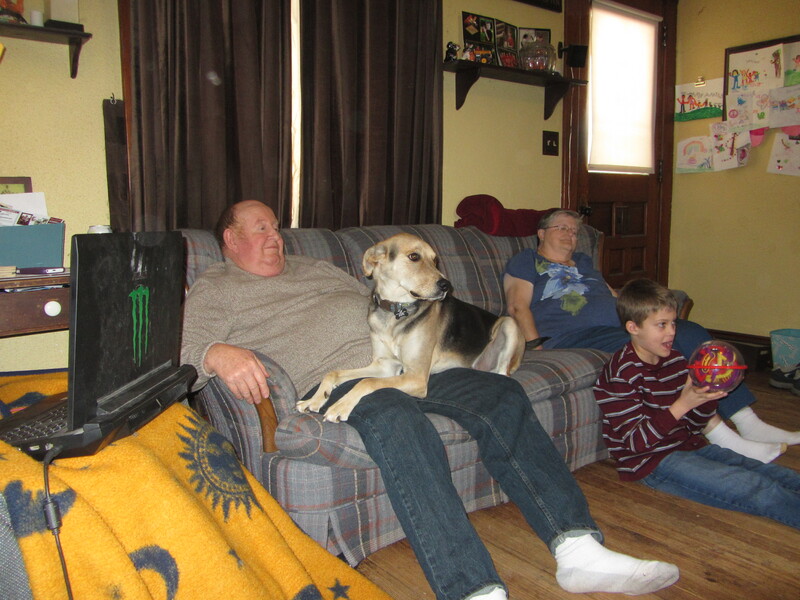 I love that grandpa has a lap dog. 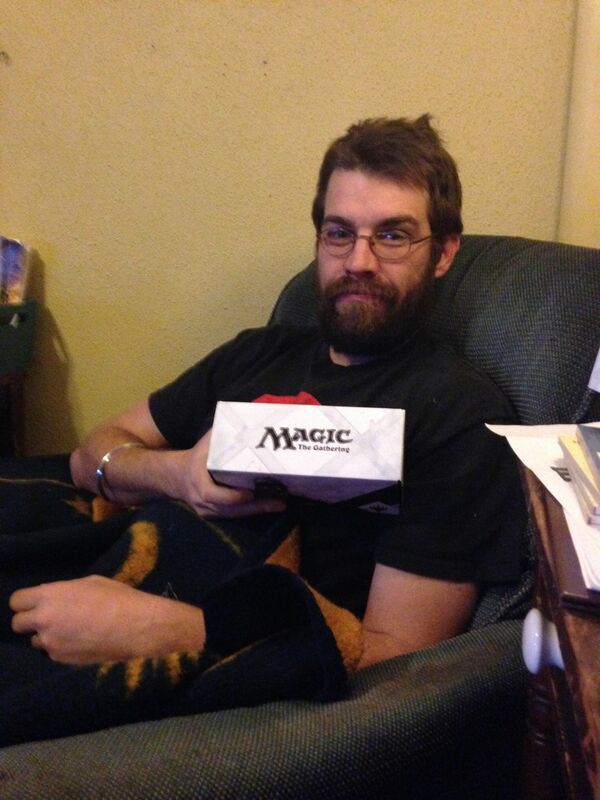 Is that Magic the card game? My son loves that. 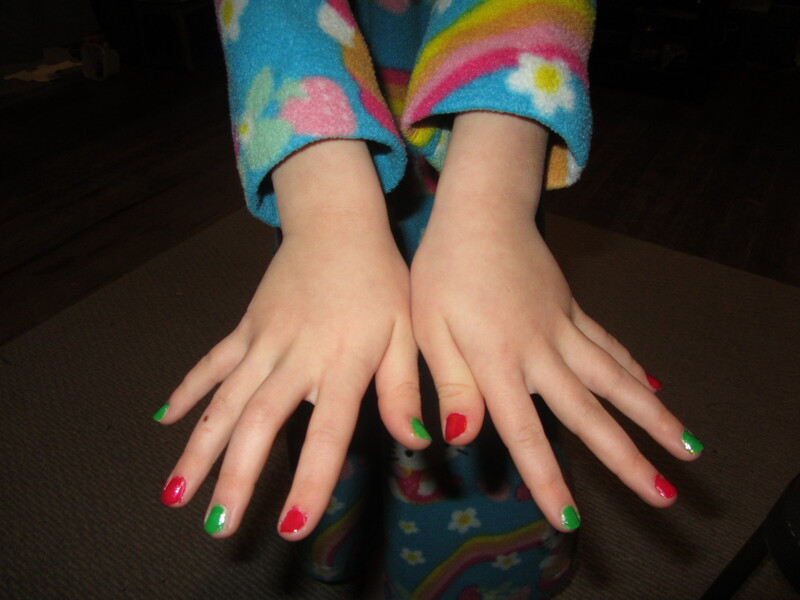 Crafts get crazy here, too – especially once school lets out. But you all are making some really fun memories!! Your Evil Genius and my Bigfoot should get together and play… Magic. That wasn’t meant to sound creepy. Ha! Oh, and that’s where my dogs and kids sit, too! the cuteness of your kids is just too much…OMG too cute. 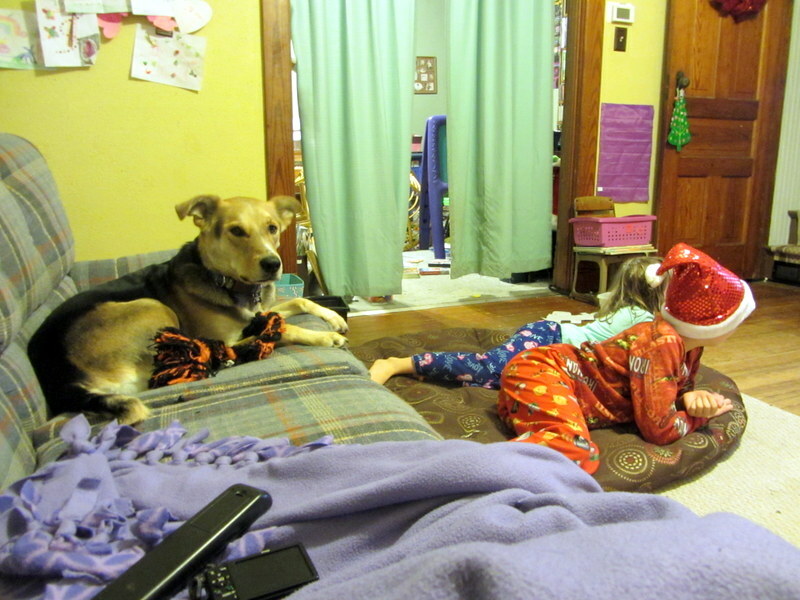 I love them sitting on the dog bed and the dog sitting on the couch…that always happened when we had our Balboa. OMG that last pics…LOVE IT.